Vilhelm Hans Bjerregaard Jensen was a Danish Scout who became a Scoutmaster during the early years of the Scouting Movement. He decided to see something of Scouting around the world, worked his way through Europe and England, arrived in the United States in February 1926 and took a job with the national headquarters of the Boy Scouts of America. 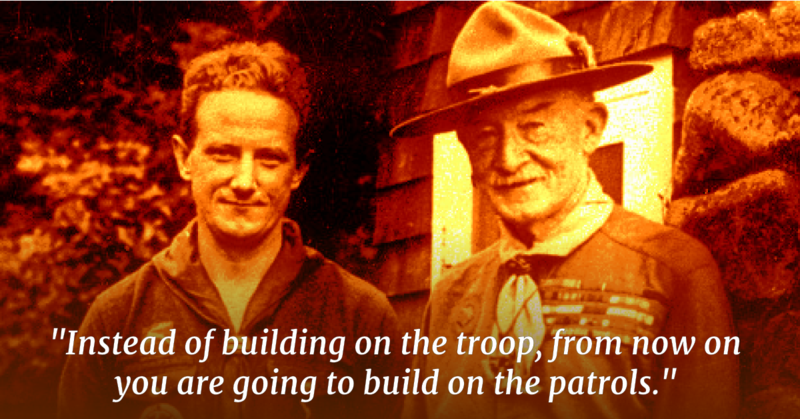 James West (the BSA’s first National Executive) solicited Vilhelm’s thoughts on Scouting. 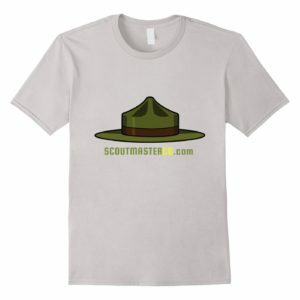 He replied with an 18-page memo describing the lack of patrol structure and leadership suggesting the BSA publish a handbook for patrol leaders written by someone who had been both a patrol leader and a Scoutmaster. West hired him as a writer and editor and Vilhelm’s anglicized name, Bill Hllcourt, started appearing in Scouting Magazine shortly thereafter. Bill would go on to write the first Handbook for Patrol Leaders published in 1929, and serve the BSA for many years to come. 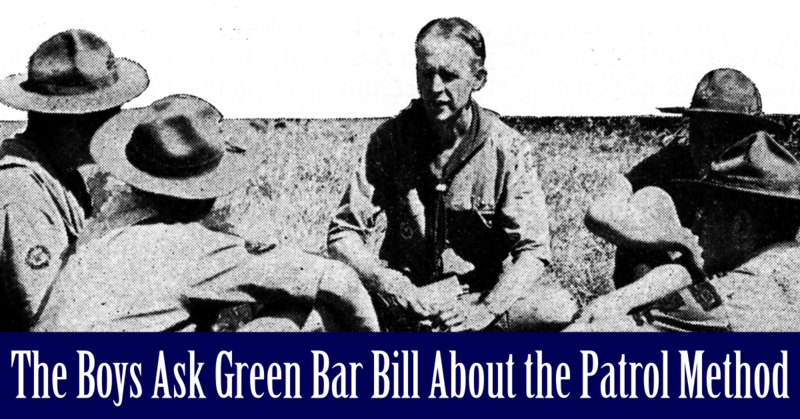 Generations of Scouts and Scouters would know as “Green Bar Bill“. Podcast 264 and 265 feature a recording of Bill telling his story. 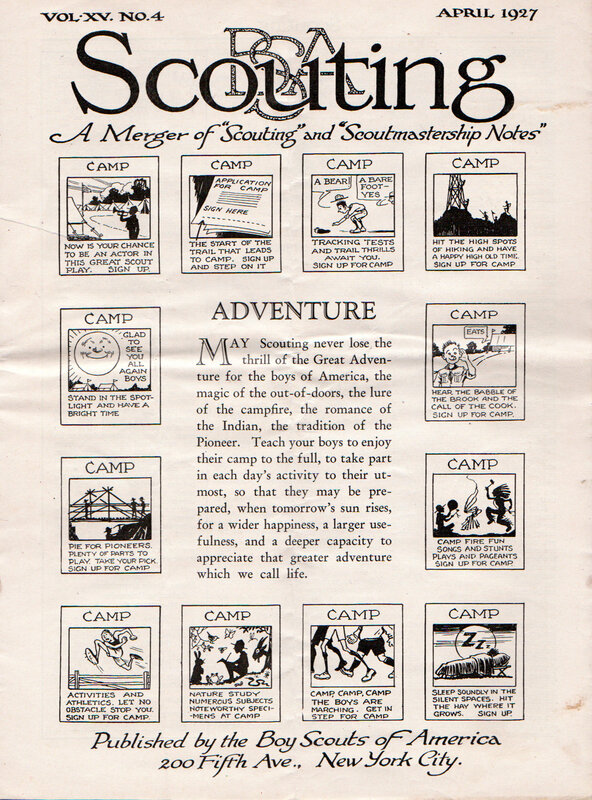 The article below is from the April 1927 issue of Scouting Magazine. The 27 year-old Hillcourt explains the the patrol system. 2 years before he wrote the Patrol Leader’s Handbook. Read carefully and you’ll hear the Danish accent that would follow Bill for the rest of his life. I had a talk with one of my friends some time ago. He has been a scout­master for a couple of years, I have known him for quite a while, but never before had I seen him looking as worried as he did now. A big wrinkle was over his forehead, and his eyes looked sad and disappointed. “What is the trouble?” I asked. Billy, I want you to help me. You know how I have worked for these boys, how I have used every bit of my spare time to build up my troop. You know how glad I have often been, but now it is as if everything is going to break down. The boys are beginning to drop out; they seem to lose interest in the work they have previously loved. And I cannot find the reason. Something is wrong, only I do not know what it is. 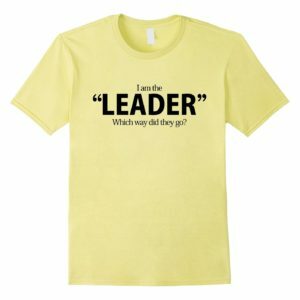 I have been analyzing myself in order to find out if it was I who had changed, but I am the same as I have always been, and the way in which I lead the troop, is the way I have always done it. Billy, do me a favor. Come to our next troop meeting, use your eyes and tell me afterwards what is wrong. I assured him that I would be present and it seemed to take a little bit of his worries away. To my shame be it spoken that it was the first time I had ever attended one of my friend’s troop meetings. He had often told me about his boys, I had met them a couple of times on their hikes, but I had never before seen anything of their indoor life. I was glad to see that he had made no special arrangements because I was to be present, and I feel pretty sure that the troop meeting was conducted just as usual. I used my eyes and my ears. I mingled with the boys, joined them in repeating the Scout Oath, took part in the games, listened with them to the instruction. But my eyes did not follow the scoutmaster. They were wandering from boy to boy, from face to face, seeking to read the thoughts that were hidden behind the different expressions. After the meeting we went to my friend’s house. And our talk lasted far into the night. You have asked me to help you, and I will do all I can. If you will listen I will try to tell you where you are mistaken. I will speak frankly, and together we will try to find the remedy. First of all : You have been the center of the universe you call your troop. You have been the point, around which every one of the boys has had to rotate. Your decisions have been law for your scouts. Instead of developing their individuality you have tried to stamp them with your own. You have not as yet realized that your duty is to build boy-character, not to give some boys a ‘swell time’ and train a troop in technique, to enable you to show the results of your work. You say you believe in the patrol system. You think you are using it. But you are not. You think you trust your patrol-leaders. But you don’t. I know what you were going to say. You would tell me about the 20 minutes of the meeting which were devoted to patrol work. But you are entirely wrong in thinking that that form of work has anything to do with the patrol-system. You have been a boy yourself, and you have probably often spent some jolly hours with friends of your own age. You have been talking and laughing, when suddenly a door was opened and an adult entered. What happened? Silence and an awkward feeling stopped the joy. 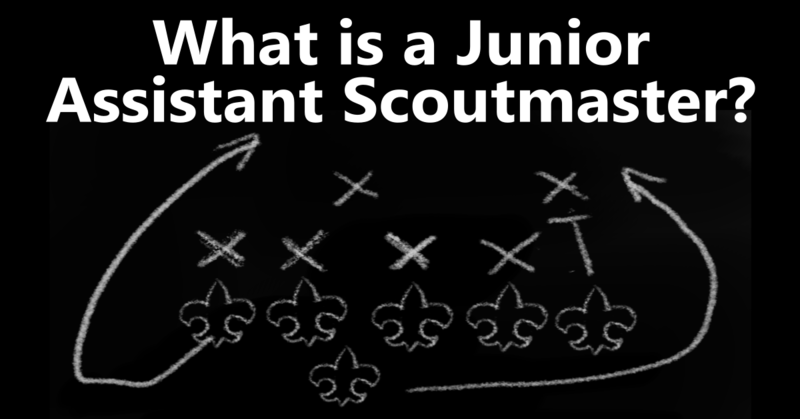 Patrol-meetings may be held without , the scoutmaster’s supervision. 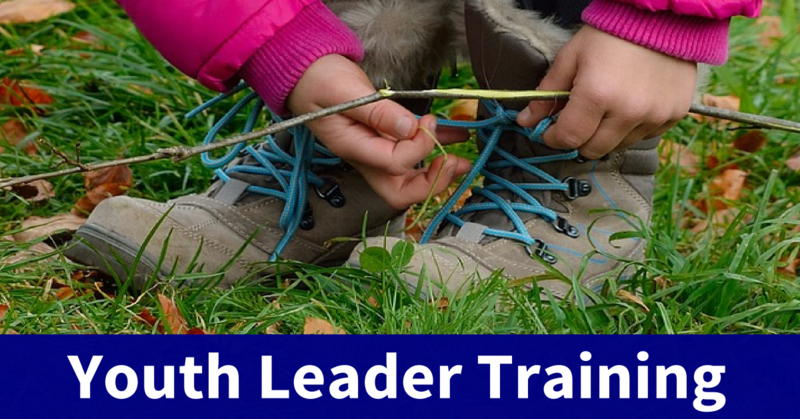 You must train your patrol-leaders to lead. You must train them in the tests in order always to keep them a horse’s head in front of their boys. And then you must , give them opportunity to use their knowledge. You must know that a boy will do more if you trust him than if he feels that you are supervising him all the time. You had an instruction-period tonight with a review of first aid for the second class badge. You believe that all of the boys were interested. You showed them how to apply the gauze bandage, and your eyes were occupied in following its windings. But I looked around, and I read the expressions. You have many boys who are easy to interest and who are able to keep their interest in a thing for quite a while. You kept their interest, but you forgot about the more difficult cases. An instruction must be made interesting enough to catch everybody. But how are you able to catch every one of your boys with a review of a part of the second class tests? 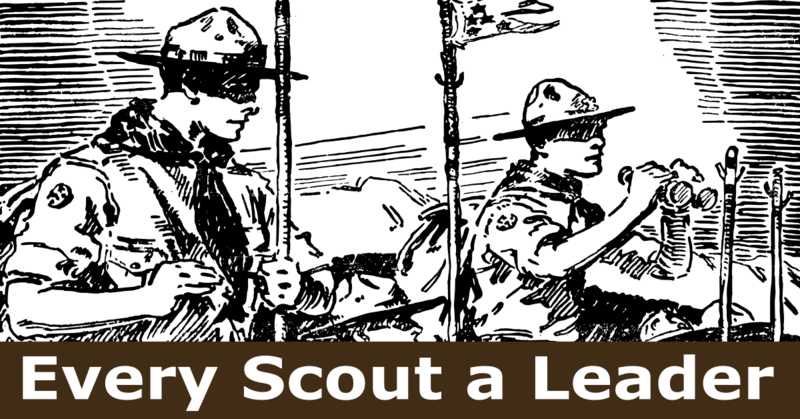 The first class scouts will be bored with it, the second class scouts know about it, and the tenderfoot scouts will hardly be able to follow you. And anyway the troop-meeting has to be more than a class in a school. Again you spoil your chances of building boy-leadership and character. The work of instructing the boys in the tests belong to the patrol leaders in the patrols. But you have taken all the duties on your shoulders. And that is your one big fault. Every bit of the work in your troop depends on you. You want to train all the boys, you want to be the leader all the time, you take every piece of work on yourself because then you know that it will be done exactly in the way you want it. The day you leave, the troop will be broken up because you have not given it the right foundation. 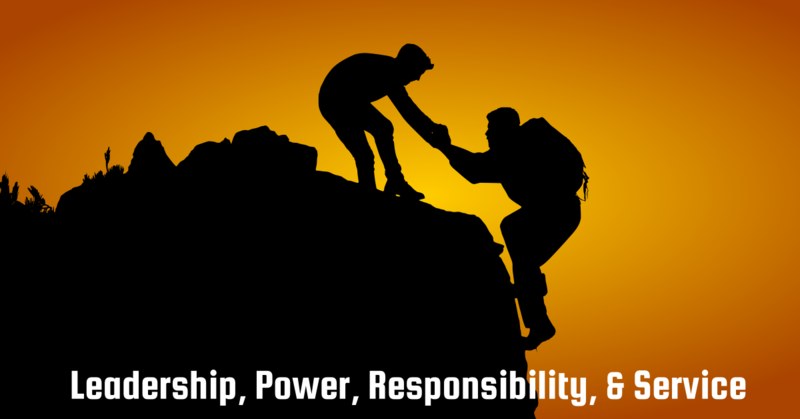 Lift your duties and responsibilities away from your own shoulders and put them on the shoulders of your patrol leaders. Depend entirely upon them to bring the troop forward, and you will find that your troop will flourish as never before. You may be right, Billy, and I am willing to follow your advice. But how do you want me to start the building of a new foundation? You will have to start with a revolution. A revolution? What do you mean? I mean a real revolution with dethroning of the king (in this case you), abolition of the existing parties, making of a republic and a referendum of the people in order to find out which leaders they want to follow. I believe in a periodical reorganization in the average troop. I have seen wonderful results from it. How is it to be done? First you tell the patrol leaders, that you want to build the troop on a 100% patrol-method and that you want them to accomplish this. At the next troop-meeting the reorganization takes place. The boys are asked to tell on pieces of paper which patrol leader they want to follow and which of the other boys they would like to see in their patrol. The voting papers are collected, and you build t the patrols up in accordance with the wish a of the boys. It is impossible to do it in a way that will entirely prevent disappointment, but you will be able to form patrols which will satisfy the boys. You need not be afraid of the patrol leaders. If they are good, the boys will certainly re-elect them, while the bad ones will have to give up their places for new leaders. 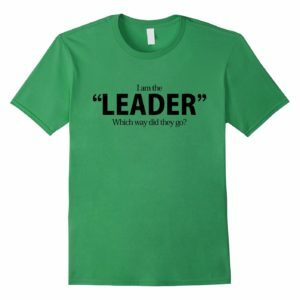 And now your work will be to train these boys in leadership. Through them you will be able to build the ideal troop; with them you will be able to catch the real spirit of our wonderful Movement. You are now the president of the new republic and these boys form your senate. The most important function you have is t the meetings of that senate. Your duty is to teach these boys every part of the tests in such a way that they are able to pass it on to the members of their patrols. You will discuss every bit of the troop’s work with these boys, ask them for their advice, let them tell about problems they are up against. They will relate the work they are doing in their patrols, and you will soon find, that the responsibilities you have put on them, are building leadership in them. You will find that they will do their utmost to justify the trust you have placed in them. Instead of building on the troop, from now on you are going to build on the patrols. 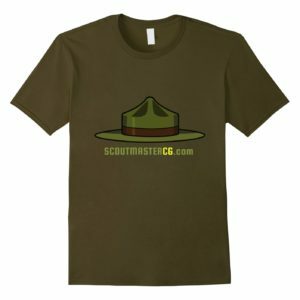 The patrols are the all-important part of Scouting, while the troop and the scoutmaster are inventions made for the purpose of cutting a way for the smaller units. You will expect the patrols to have a weekly afternoon-meeting (if any of the members are working in the daytime, the meetings must be held in the evening, and in that case you can only expect meetings to be held, say, every fortnight), where test-work, planning of hikes, discussions, etc. are the features. And outside that you will expect them to make one Saturday afternoon hike and one Sunday hike (in the summer-time an overnight hike) each month. The work in which you are going to take part is first of all the Cornertooth meetings. 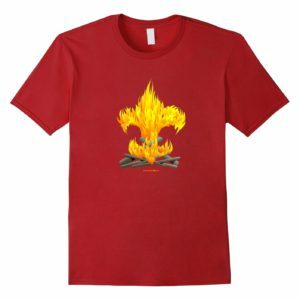 (By Cornertooth I mean the patrol-leaders council, and the name has its source in the fact that the meeting of the patrol leaders and the other officers of the troop catches the spirit of Scouting and knows how to keep hold of it just as the wolf with its Cornertooth is able to seize its prey.) Every fortnight a meeting is held. And between the Cornertooth meetings the troop is gathered on the meeting nights. The troop meetings are held to build troop-spirit, to make the boys in the patrols feel that they belong to a brotherhood. Competitions are held here between the different patrols, in the games the patrols are used as a unit, and instruction that cannot possibly be given by the patrol leaders is given here. 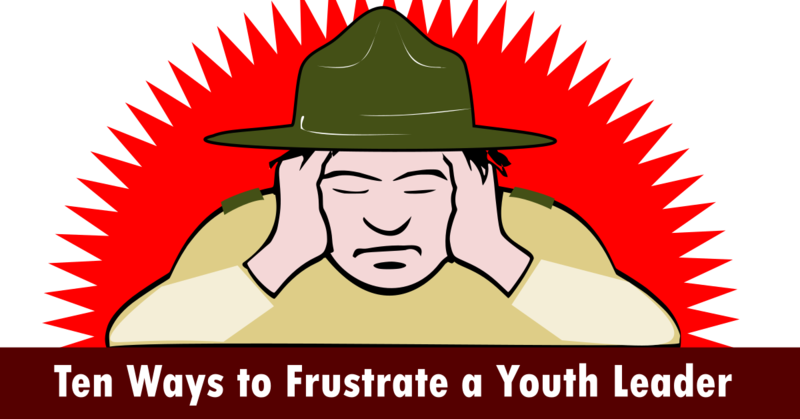 Songs, inspiring talks by the scoutmaster or by a guest form an important part of the meeting. That is the indoor side of the troop-life. The outdoor side consists of one Saturday afternoon hike and one overnight hike every month. That means for the scouts 6 meetings, and 4 hikes in a month. For the patrol leaders it means 8 meetings, and 4 hikes in a month. And for yourself it means 4 meetings, and 2 hikes in a month. But outside that, you ought to be at home 1 night every week in order that boys who want to see you can come and talk things over with you. Once every six weeks you ought to visit the patrols at their meetings, and once every six weeks the Cornertooth will take an overnight hike out in the country learning the secrets of the woods and feeling the right spirit of comradeship. That is in short, the work I want you to take up. That is my Cornertooth system. It takes work to get it started, but as soon as it has been begun you will find how smoothly everything will run along. The interests of the boys will be with the troop, there will be no more boys dropping out. And what is more, you will create a better spirit, a better cohesion among the boys—and you will build leadership. We sat silently for some time. It was easy to see that my friend was thinking hard about my words. He did, and he never regretted it. 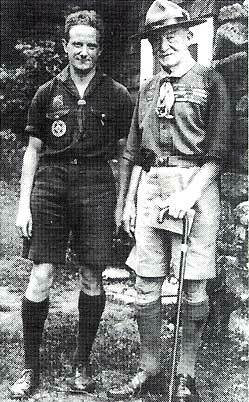 William “Green Bar Bill” Hillcourt left, and his mentor Lord Robert Baden-Powell; Photo by Grace Hillcourt. Taken outside the Hillcourt cottage at Schiff Scout Reservation, Mendham, New Jersey, on July 15, 1935.